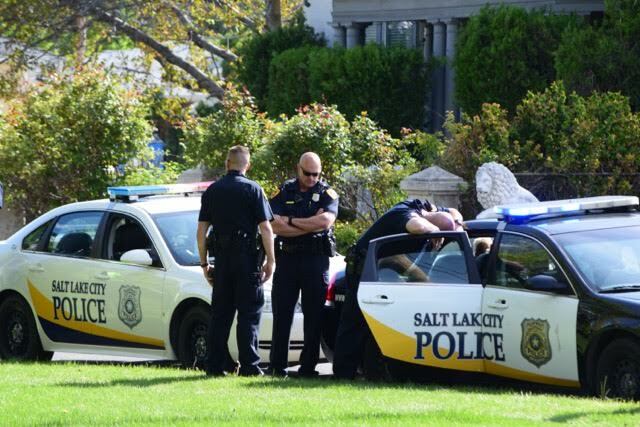 SALT LAKE CITY, Utah, May 2, 2016 (Gephardt Daily) — Police have three suspects in custody after at least one shot was fired into a crowd at a Sunday afternoon gathering in Liberty Park. 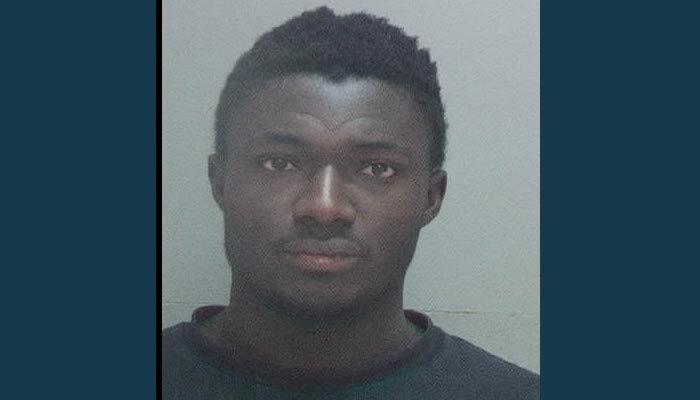 On Monday, Salt Lake City Police Department identified the suspect that fired the shot or shots as Joseph Momoh, 21. He has been booked into jail for discharge of a firearm into a crowd, fleeing, possession of a firearm by a restricted person, and possession of narcotics. Salt Lake Police Sgt. Robin Heiden said other two suspects were taken in on class A misdemeanor charges of possession of drugs. All three males taken into custody appear to be in their early 20s. Heiden said on Sunday that the shots-fired call came in just before 4 p.m. The park is located between 900 and 1300 South and 500 and 700 East. “We received a call of shots fired in the park, and this happened on the east side where there is a huge gathering on Sundays, a lot of people were around,” Heiden said. The third suspect attempted to break containment, but was captured near 1400 South and 500 East after a foot chase. During the chase, the suspect discarded a coat and a bag. The items were retrieved and contained a handgun and a large amount of illegal narcotics; mushrooms, marijuana and dab, a marijuana concentrate. 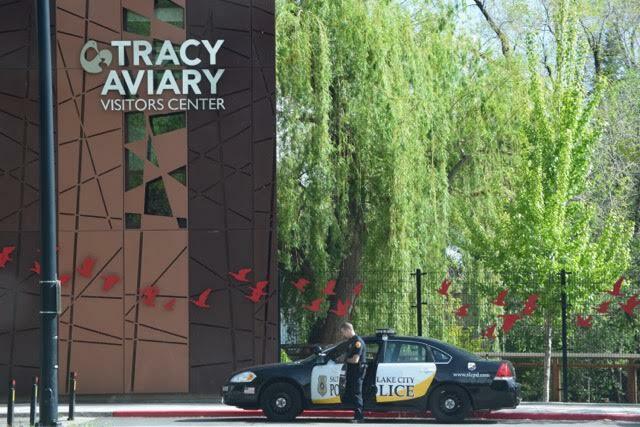 It is unknown how many shots were fired, but Heiden said at least one, and possibly two, and she said it was fortunate no one was hurt given how crowded the park was. 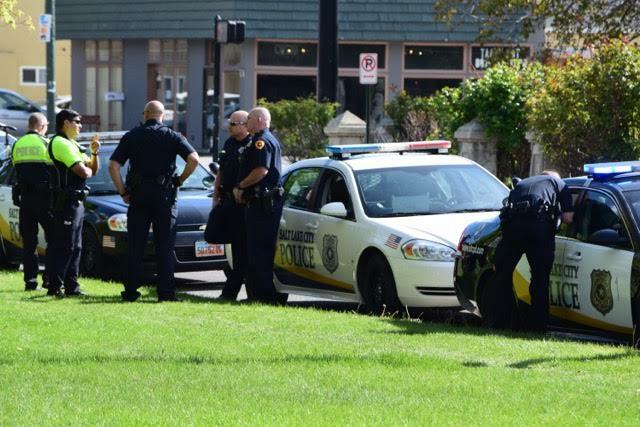 Heiden asks anyone who was a witness to the incident to call the Salt Lake City Police Department at 801-799-3000. To remain anonymous, text crime tips to 274637. Start the text with the keyword TIPSLCPD (which routes it to SLCPD), then a space, followed by the relevant information or photos. Reference: crimetip.